You are cordially invited for ‘Not Enough’ on March 7th at 6PM in OSCAM. For this exposition, curator Marian Duff of OSCAM connects the talented photographer Alexander van Keulen with the Bijlmer. 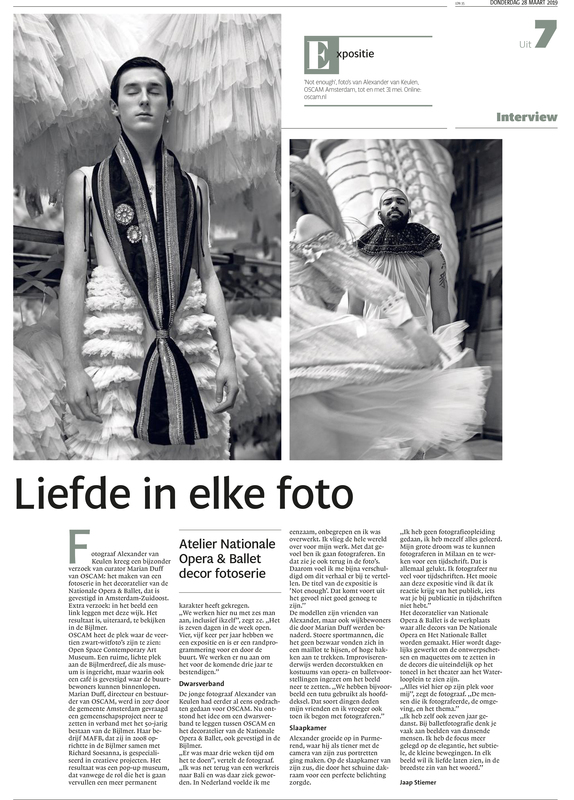 The exhibition consists of 14 photographs, with a number of faces from the Bijlmer and costumes from the depot of the Duttch National Opera & Ballet. The costumes were made in the costume department of Dutch National Opera & Ballet at the Waterlooplein. They have had roles in different operas and ballets, but now have new and different roles.